WANT TO EXPLORE MY COLLECTION? If you’re interested in viewing my collection, please create an account. Upon review, a username and password will be sent to you by email. This password will allow you to view the collection for up to 24 hours. 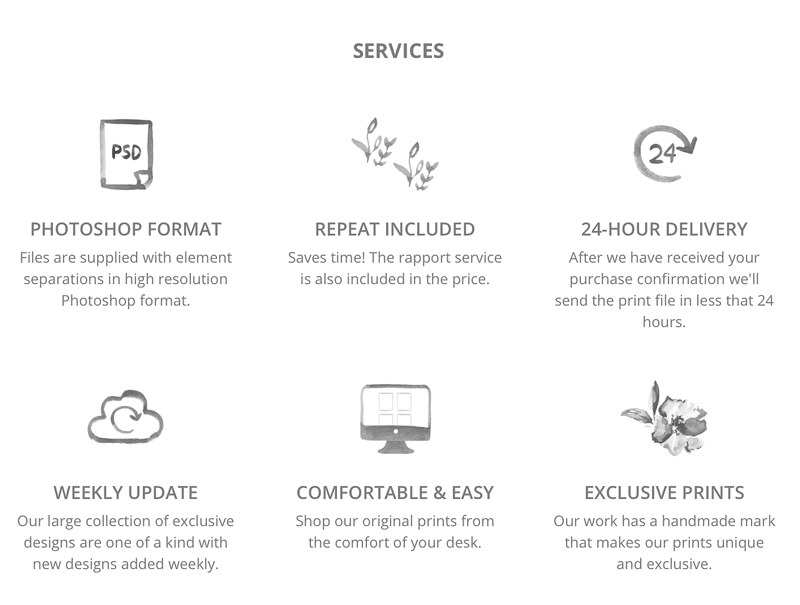 Shop for exclusive prints from the comfort of your desk. Silvia Cairol Design Studio team is available to develop prints for Fashion and Home Industries, including services as Custom Designs, Digitizing Vintage, Repeats, Colour Separation, and File Cleanups. All Designs on this website are copyright Silvia Cairol Design Studio. Any reproduction in whole or in part in any manner or country is expressly prohibited. Copyright on design(s) purchased from Silvia Cairol Design Studio will be transferred to client once payment has been cleared.